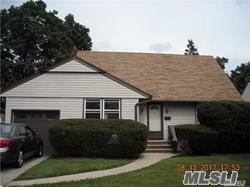 This Charming Sided Cape With 1 Car Attached Garage Is In A Great Location And Boasts 4 Good Sized Bedrooms, 2 Bathrooms And A Finished Basement. This Property Has A Spacious Yard With Plenty Of Potential. Hardwood Floors Throughout. Make This Your Home.